The Philippine gambling regulator, PAGCOR, today confirmed that it has suspended Resorts World Manila’s casino license following the June 2 incident in which an armed man stormed into the complex’s casino floor, firing warning gunshots and setting gaming tables on fire. The lone gunman was later on identified as 42-year-old Filipino Jessie Javier Carlos and was found to have stolen casino chips worth PHP113 million (approximately $2.3 million) during the assault. PAGCOR told media that its decision to order the integrated resort halt gambling operations was necessitated by an ongoing police investigation into the incident. PAGCOR Chairwoman Andrea Domingo also explained that the gambling regulator itself is probing into Resorts World Manila’s liability for the attack which left 37 dead and dozens injured. 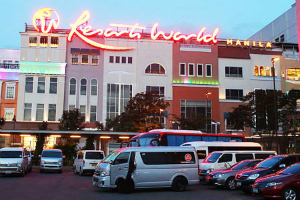 Located in the Manila metropolitan area, Resorts World Manila is operated by Travellers International Hotel Group Inc., a joint venture Genting Hong Kong Ltd., subsidiary of Malaysia’s Genting Group, and Philippine partner Alliance Global Group Inc.
PAGCOR wrote in today’s order that the resort “cease and desist” the provision of any gambling services on its casino floor. The regulator further noted that the June 2 attack brought to surface serious lapses in the complex’s “safety and security procedures”, which in turn affected the Philippines’ reputation as an attractive tourist destination in quite a negative manner. Resorts World Manila is yet to reopen for visitors after the incident. The resort said in a Facebook post from earlier today that it will remain shut until June 15 at the earliest as safety and security issues need to be addressed in due manner before guest and visitors are admitted back. PAGCOR commented in today’s order that the June 2 occurrence exposed their vulnerability in cases of incidents of different nature, including terror attacks. The regulator said that it recognizes the need for safety measures to be strengthened, particularly in tourist areas and different public places. As read in its statement, PAGCOR will adopt the highest possible security standards to ensure that both its licensees and its own gambling entities are providing gambling options in a safe manner. Meanwhile, a Philippine lawmaker presented a bill that seeks to introduce a PHP3,000 casino entry fee that is aimed to prevent people with limited finances from gambling at local casinos. Although ISIS claimed responsibility for the June 2 incident, the Philippine police denied any terror allegations and confirmed that the attacker was actually a problem gambling customer who had been deep in debt. Rodolfo Albano III, the above-mentioned bill’s author, argued that the easy access to local casinos poses a great threat to players with problem gambling behavior and without enough finances to afford such behavior. According to the lawmaker, the Resorts World Manila tragedy brought attention to the this serious threat and it is now up to him and his colleagues to act in due manner.